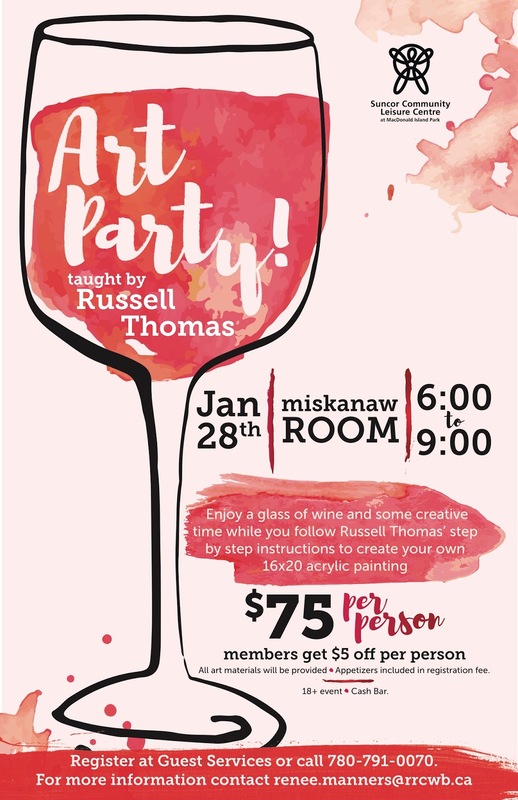 I just checked the MacDonald Island website and it tells me there are 7 spots left in Saturday night's Art Party that I'll be hosting in the Miskanaw Ball Room. 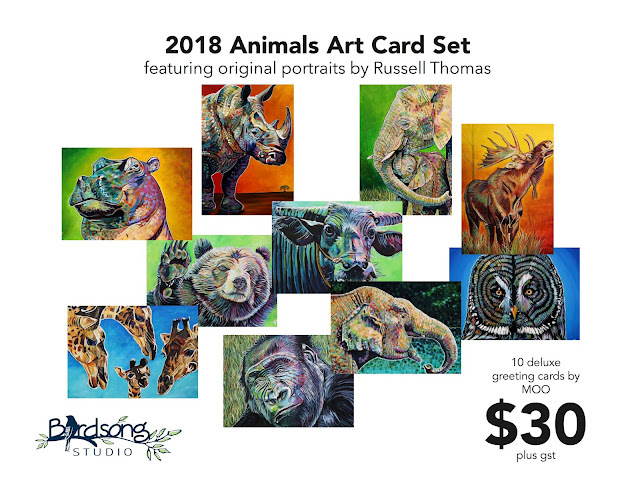 As with the two smaller workshops I did this month adjacent to the MacDonald Island Community Art Gallery, it looks like this one is going to sell out, too. Paint Nite, paint parties, painting this, painting that.....where did this painting craze come from? I've scaled back scheduling my workshops in Birdsong Studio as I didn't want to compete with all of the other facilitators and organizations doing them in halls, pubs and restaurants. They appear to be everywhere. I'd like to think that if you come to one of mine (ie. Art Party on Saturday night) you're going to experience something a little different. My process is more on the self-directed side of things. In other words, I provide the road and the map, but you get to drive the car and determine your destination. Throughout the evening I walk around and check in on people, providing an encouraging word or two, but that's about it. The results that I've seen, after having had over 250 people attend my painting experiences, have been truly amazing. People who had little to no painting experience have produced absolutely unique works of art. 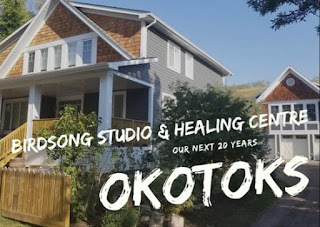 In many cases, participants have been inspired to continue painting, including a niece and nephew from Saskatchewan who did a session with me in Birdsong Studio over the holidays. 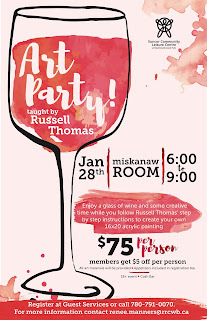 What can you expect if you come to Saturday's Art Party, or any other painting workshop that I facilitate? 1. You will create a painting that is 100% your own. 2. You will learn a drawing technique that involves using a grid on both the source image and the canvas that lessens the fear and trepidation of getting the likeness correct of whatever you are painting. 3. You will get to have fun with colour, lots of colour. 4. You will be encouraged to trust your instincts and go with the flow. 5. You will have some great conversations with your neighbours, if you choose, or sublime silence, if that is your preference. 6. You will get to watch me paint. That's the most boring part, but for some, a interesting side attraction. I always paint with the participants, usually on a larger canvas so everyone can see what I'm doing a little easier. What are we painting on Saturday night???? That's the 50 million dollar question. An animal. That's your clue. To find out which animal, you'll have to wait until the party begins.